Taipei, June 26 (CNA) Taiwan's people should be proud of the country's medical assistance to international refugees as part of a deal with the Australian government made last year, Foreign Minister Joseph Wu (吳釗燮) said Tuesday. "We are offering our cutting-edge medical technology to help these poor refugees. They are all part of a deal we made with the Australian government," Wu said. After receiving medical care and recovering from their respective medical emergencies, the refugees will return to Nauru, Wu said, noting that all of the expenses are being covered by the Australian government. 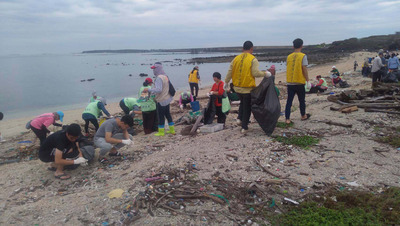 "This is something we in Taiwan should be proud of. We are sharing our medical resources with other countries and these unfortunate people," he said. He did not address concerns, however, that Taiwan was helping Australia get out of dealing with its refugee problem or whether there were problems with communications between patients and doctors as reported in the Guardian. Wu was responding to an Australian media report last week that an MOU signed between Taiwan and Australian in September 2017 allows refugees and asylum seekers in Australia's immigration processing center on Nauru to get medical care in Taiwan. The refugees and asylum seekers who need urgent medical attention have not been given it in Australia because of concerns they would use the system to gain an opportunity to settle in Australia, something Australia's government has vowed to not let happen. "The previously undisclosed deal has prompted lawyers to warn that medical care is being dictated by the political imperative of avoiding having refugees on Nauru reach Australia, where they can access its court system," according to a Sydney Morning Herald report on June 22. The report further noted that Taiwan is not a United Nations member state and therefore not a signatory to the Refugee Convention, meaning it is not automatically bound to hear asylum applications. It also does not have well-defined refugee laws. Confirming the deal on Monday, Foreign Ministry spokesman Andrew Lee (李憲章) said that under the MOU, Taiwan Adventist Hospital began in January to provide care to the refugees and asylum seekers from Australia's immigration processing center on Nauru who need but cannot obtain urgent medical care there. The Australian Office Taipei, which represents Australian interests in Taiwan in the absence of official diplomatic ties, issued a statement Sunday saying these refugees had agreed to be treated in Taiwan and to return to Nauru once discharged from the hospital. It also thanked Taiwan for providing quality medical care to more than 10 international refugees so far. Asked to comment on the report, Republic of Nauru Ambassador to the ROC Chitra Jeremiah told CNA on Tuesday that the deal was signed between Taiwan and Australia, and Nauru was only providing the refugee camp.